Our family loves to do arts and craft. We live for them. This year we decided to do something a little different and make a craft that we can also keep up year long. What might our grand idea turned out to be? 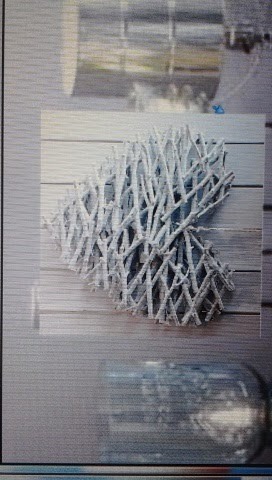 Hearts made out of sticks-Valentine Twig Hearts…Ok I am not creative with names obviously, but hey, it’s what I got! The idea came from something I once saw once in a store window up in Minnesota. First you need to decide how big you want your heart to be. We did out about the size of a book. Once you have that nailed down you need to gather sticks that you enjoy looking at. Some like thin ones, small fat ones, just make sure they are not too fat. You will need about 30-50 sticks of the same size, but don’t worry you can find longer ones and cut them down. That’s what we did. Now you need to make your outline. Lay your first layer of sticks down in the shape of a heart. Glue all your ends together and wait for it to dry. You want it to look as much like a heart as you can. You may need to trim some of the sticks down for the outline. Now here is the fun part. Start layering up your sticks going horizontal across your frame/outline. It’s easier if you start from the bottom and work your way up to the top of your heart. Let your sticks overlap to give it a 3 dimension look. You may want to work on the placement of your sticks before you start gluing them. Once you have fiddled around and know how you want to lay them out then you can start gluing them together as you go. Once your project has dried you can attach your yarn, string, metal wire, whichever you prefer to use to hang your project up on your wall. This was a very simply craft to do for Valentine’s Day that my kids adored. We are even doing another one, which they are each spray painting the sticks different colors: Green, Red, and Pink so we are going to have all these wonderful colorful hearts to hang up around the house. If you try this idea or have some other wonderful Valentine’s Day craft ideas I would love for you to post a link to your site so I can check them out.